A man became the victim of a carjacking in Fort Myers, Florida on January 11, 2017, reported WINK News a few hours after the incident. He was outside his car at a gas station when he was approached by the perpetrator, who held him at gunpoint and demanded the keys. The victim turned over the keys to his car and fled inside the station to safety. Officials are still on the hunt for the perpetrator and the vehicle, a 2000 Kia Sephia with four doors, spare tire on driver’s side, and a dream catcher hanging in the front dashboard. Police could not offer a detailed description of the suspect, but if caught, he’ll face strict penalties for carjacking under Florida law. Florida’s Penal Code defines carjacking as the intentional, willful taking of another person’s motor vehicle through the use of force, threat, or assault. The violence aspect of carjacking is what separates it from other types of motor vehicle theft crimes. An offender does not have to be in possession of a weapon in order to support a conviction for carjacking, but there are additional penalties that apply during the sentencing phase if certain weapons are involved with commission of the crime. The crime of carjacking is a first degree felony in Florida and a judge will adhere to mandatory minimum sentencing rules when a person is convicted. The minimum prison sentence is 21 months. A judge cannot use his or her discretion to reduce the sentence in most cases, but downward departure rules may lessen the punishment. Evidence of mitigating circumstances, along with a showing of whether it would be proper to reduce the prison sentence, is necessary to qualify for a downward departure. Twenty-five years if a person is injured or killed by the discharging firearm. 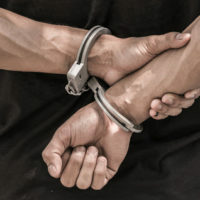 A large fine and severe jail sentence can result from a carjacking conviction, and the consequences are even more harsh if a firearm is involved in commission of the crime. There are defenses available to carjacking, but it’s essential to understand Florida law and court procedure to be successful in fighting the charges. A knowledgeable criminal defense attorney will represent your interests in court and present all available defenses, increasing your chance of a favorable result. Fort Lauderdale lawyer Kevin J. Kulik has fought on behalf of many clients in criminal cases and will defend your interests. Please contact our office today for a confidential consultation.